Providing Orthodox Christian communities the knowledge, craftsmanship, and training to build their bellringing ministry. The liturgical art of bellringing in the Orthodox Church is built on a centuries-old foundation of ingenuity and problem solving. 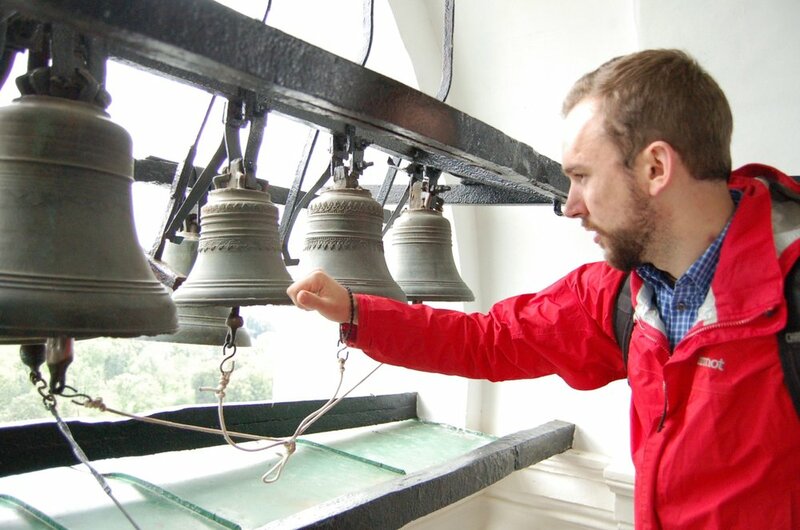 Although there are hundreds of Orthodox Christian communities in the United States that have purchased church bells, many of those installations were undertaken without an understanding of the theoretical and technical principles involved in a successful bellringing system. The end result is a bellringing method that is awkward to use and peals that lack musicality. To many communities around the world, and particularly in the Middle East, the sound of ringing church bells is considered to be the voice of the God of Christians, Jesus Christ. It is our mission to spread the Gospel through this sacred art with skill and knowledge. We've been working in the field for over 10 years and are here to help you establish an authentic bellringing ministry within your community. The witness of Orthodox Christianity is that when all the liturgical arts are integrated in worship, we step into nothing less than a living vision of the eternal kingdom of heaven. This life of the age to come is the new creation that Christ promises us, and through the experience of worship we participate in it here on earth. To realize that experience, New Creation Bellringing provides the support and guidance for communities to connect with the bellringing tradition of the Church through design consultation, installation services, and hands-on training. Ready to take the next step? Follow these three easy steps to get started.